Ask around Castle Rock. The people who know cars, trucks, and SUV’s know that Nissan has a longstanding reputation for top quality in the auto industry. And if you ask where people are getting the best deal on new Nissans – and used cars of all types – you’ll hear one name over and over again – Woodmen Nissan. Located just south of the Air Force Academy, there are plenty of good reasons to make the short, half hour trip down 87 to see us at our Castle Rock car dealer. At Woodmen Nissan in Colorado Springs, we have the area’s largest selection of new Nissan trucks, cars, SUV and used cars to choose from. Chances are, we have exactly what you’re looking for on the lot. If not, we can get it here for you – fast. Not looking for a new car? We also have the area’s best selection of pre-owned vehicles, including certified pre-owned. Of course, everyone says that, but we back it up. Just check out our online inventory of new and used cars and you’ll agree. What’s more, we realize that our relationship with you doesn’t end when you drive a car off our lot. That’s why we’ve put together a team of service professionals who can stand with any in the business. Our experienced and knowledgeable staff makes sure your entire car buying experience is positive – bother before, during and – especially – after the sale. 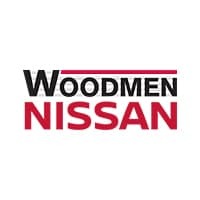 Every car buyer is a unique individual – and you can expect to be treated that way at Woodmen Nissan. From our sales staff to our financing department to our service technicians, we realize that every customer deserves to be treated as an individual – not just a number. From the moment you step onto our lot, our focus is to meet your automotive needs and preferences. We’re not here to make a quick sale – we’re here to develop a lifelong relationship. We are dedicated to making your experience with us so positive that you’ll always want to make the drive from Castle Rock – and that you’ll want to tell your friends and neighbors about the superior treatment and deal you received at Woodmen Nissan. After you drive off the lot in your new Nissan or pre-owned vehicle, the deal isn’t over. While Nissans are known for their long life and sound mechanics, every car needs servicing – both regular maintenance and occasional repairs. We work with you to make sure your Nissan is getting the regular servicing it needs. Our technicians handle everything from tire rotations, oil changes, balancing, to changing plugs and topping off your fluids. We know that the best way to earn your repeat business is to make sure the first car you buy from us gives maximum performance for as long as you own it. Come see what so many of your friends and neighbors in Castle Rock already know – that Woodmen Nissan is the only place to go for the best deals and highest level of service in the Colorado Springs and Castle Rock area. Looking to buy a car? Contact our professional sales team online. Need service? You can contact our service department at(888) 577-6439. Not sure what you’re looking for? That’s OK. Stop in and take a look around, see what we have to offer on the lot and test drive as many new Nissans and used cars as you like. We are dedicated to helping you find the perfect car, truck or SUV for you – new or used.